This week has been one of those weeks I adore! Things are getting done, my productivity level is insane, and we have a super fun weekend ahead…all things I love! I haven’t done an IG roundup in a while, and I’m not entirely great at linking my OOTD pieces, so I’m bringing up a few for you here and now. 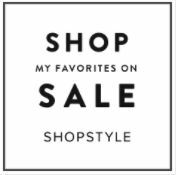 A lot of what I’ve been wearing the past week or so – which is winter wear because we had a week of winter in the Sunshine State – is on major sale, which is a huge plus! I wore this earlier this week when the temps warmed up just a bit. It was such a nice day in the 60s, but still not cool enough not to throw on a blazer (though I did cheat the system with some open-toe spring shoes). I am a huge fan of these jeans with their raw hem, and I’m also a huge fan of black in the cold weather. A blazer just dresses up basic jeans and tee outfits. You know it’s cold when a Floridian puts on a sweater with a cowl neck. And I told you I love these jeans so much. I didn’t even know I owned a turtleneck sweater, my face says it’s cold, and my husband picked up this scarf for me last year and I never thought I’d be able to wear it! This is the time of year I am happiest we are annual passholders, and it’s also the time we use them the most. The weather is gorgeous, we don’t die of heat, and everyone is in such a good mood. The parks are less crowded. It’s good stuff. And this was a sweet, sweet family day. Date. Night. My husband is the best date night-planner. We do a lot of date nights I plan, but his are the best because he asks me out after he secures a sitter to come over and take care of the kids, he makes the reservations, and he never chooses a restaurant that doesn’t have one of my favorite bottles of wine on the menu (hint: it needs to be a sangiovese). And he always makes it so much fun. This entry was posted in Fashion, Instagram Roundup and tagged clothes, Fashion, IG roundup, style. Bookmark the permalink.